An excellent dual purpose bird known as the "little red hen with the white underwear." Lays a nice large brown egg. Buy them straight run-for-good layers and good fryers. An extremely tame bird, easy to work with. 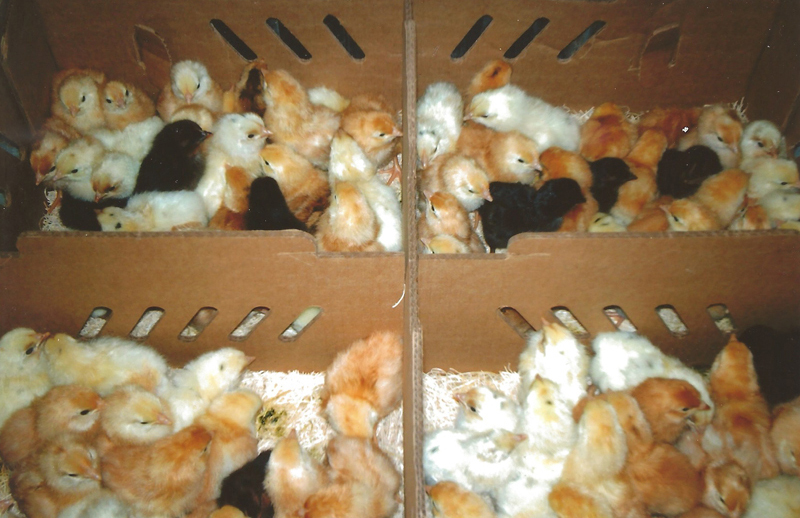 Pullets are mostly red with some whites, blacks, and spots, with the cockerels mostly white. These cockerels are very similar to White Rocks. 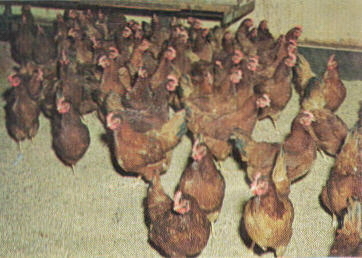 A young flock of Sil-Go-Link parent stock close to lay. 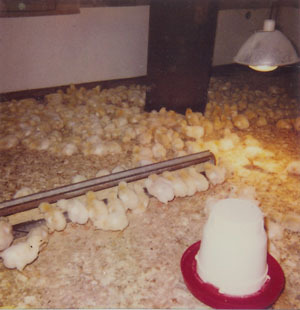 All flocks from this laying house have consistently peaked at over 90% production and held up. 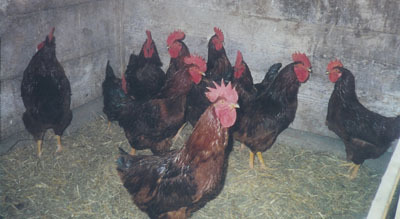 Our all star Rhode Island Red Males - We use this large rugged and hardy male to produce our Sil-Go-Link, Rhode Island Red, and Red Leg. An exceptional male that transfers its many good traits to its offstpring. 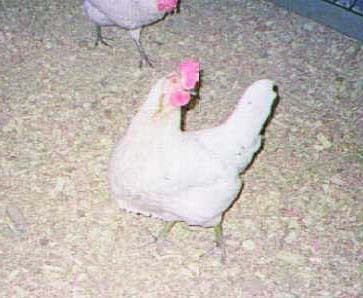 A dark colored chicken with a large dark brown egg. Expect excellent performance and livability. This is still the large red and has not been downsized. 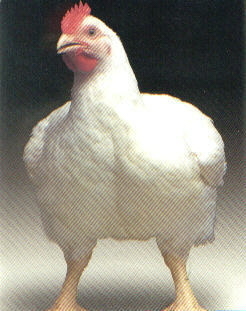 A white chicken with a few black spots and some red color. 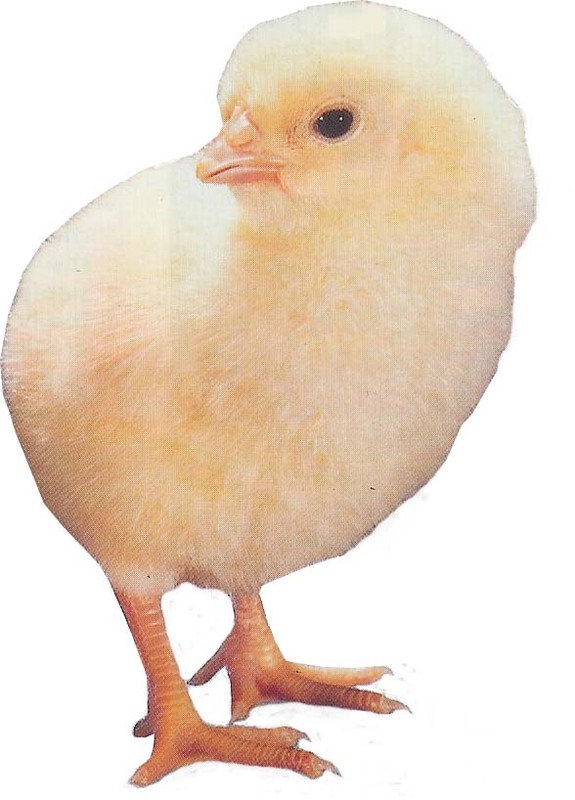 A good sized bird laying cream colored eggs. An old rugged dependable crossbreed. Tame and exceptionally hardy. 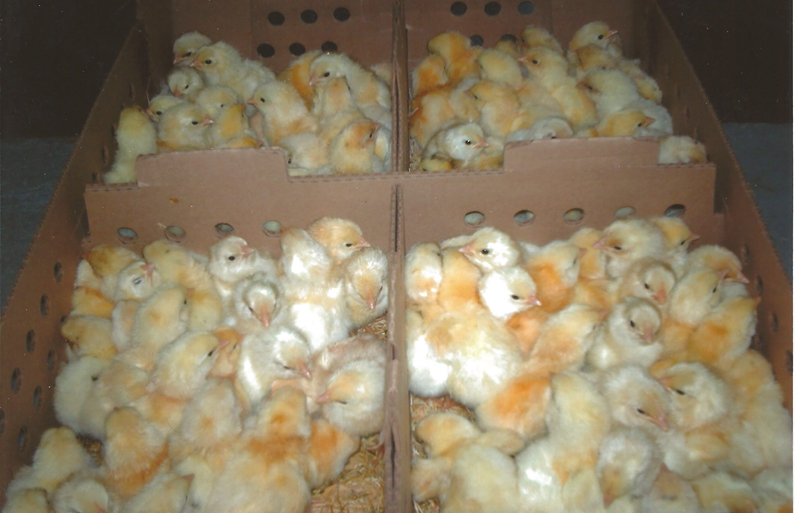 We are hatching the best broilers in the U.S. today - Bar None! 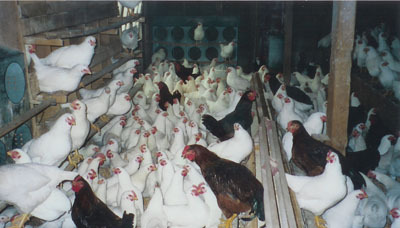 Our broilers are from the world's leading broiler strains. 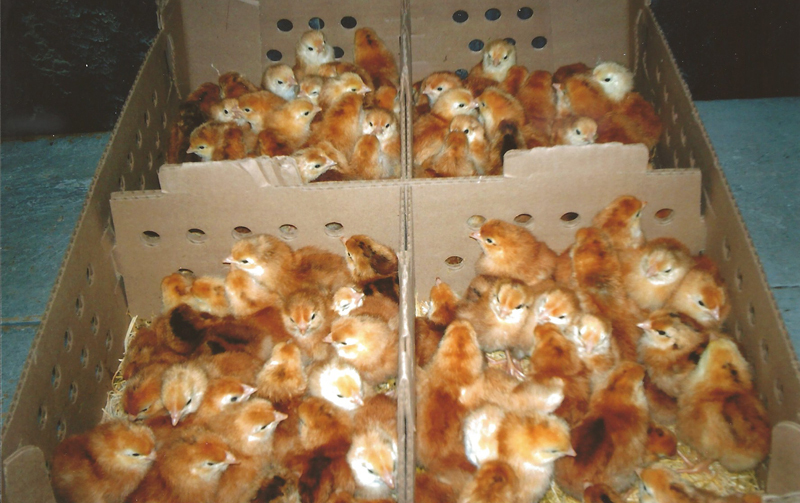 Absolutely no production breeding -- All Meat Bred. None finer! Their rapid growth will amaze you. Excellent feed converters. 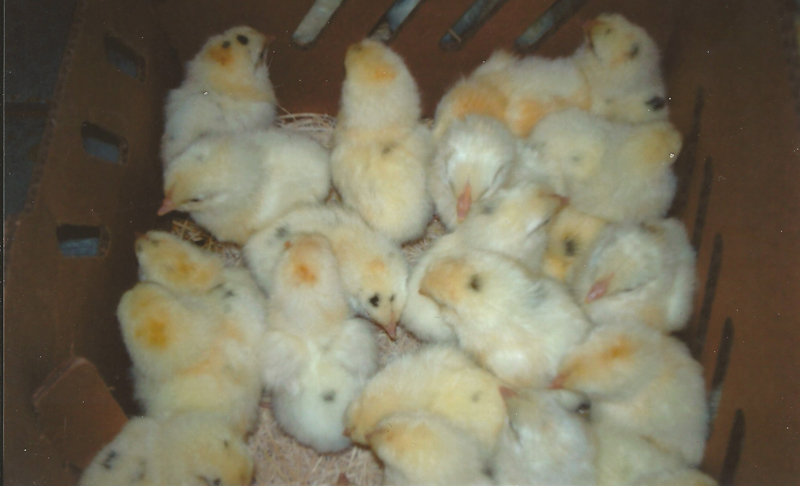 Good home grown broilers can't be beat.